To create Kalashnikova Autoflowering, Greenhouse Seeds harnessed their AK47 x White Widow crossbreeding and brought it together with Green-O-Matic. The outcome is a strong, very high yielding plant with exceptional resin production and a fast-hitting high. This automatic rifle shoots very rapidly - from germination to harvest it takes only 9 weeks. Kalashnikova Autoflowering is the result of crossing Kalashnikova (AK47 x White Widow) with Green-O-Matic. This automatic rifle shoots very rapidly and is loaded with rounds of an exceptional caliber. Kalashnikova Autoflowering is a strong, very high yielding plant with exceptional resin production and a fast-hitting high. Kalashnikova Autoflowering is suited for indoor and outdoor cultivation and will race through its life cycle within only 9 weeks, irrespective of the environment. After about 14 days of vegetative growth she seamlessly enters the flowering period and 7 weeks later she is loaded with up to 800g/m² of very potent ammunition. This is no close combat ammo, these giant lime-green and resin-coated buds are suited for steep fire battles. Brought up outdoors, each plant will carry 80-100g at the end of the flowering period. 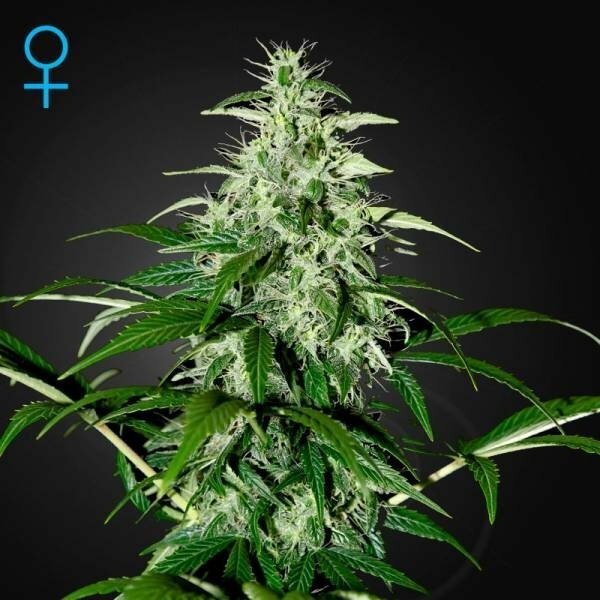 Kalashnikova Autoflowering weed has a spicy and fruity smell and taste and triggers a fast-hitting body-related high, shooting barrage at pain and body tension.